Description: This 39 year-old-female underwent Gastric by-pass surgery about year before she came to our office. She had several procedures done by me for removal of excess skin. Among her complaints was the fact that she disliked the lateral thigh being so rippled and bulky. 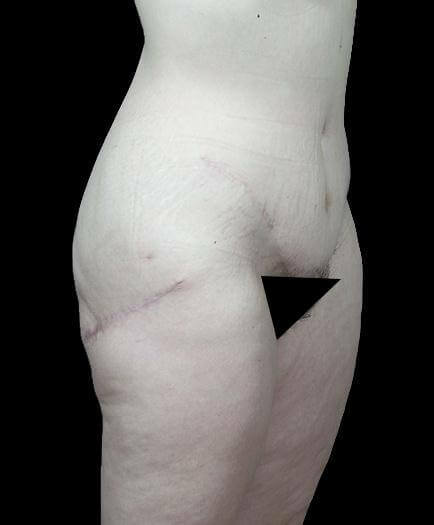 We did a lateral thigh lift removing the excess skin of the lateral thigh just below her buttock fold and lateral thigh fat. 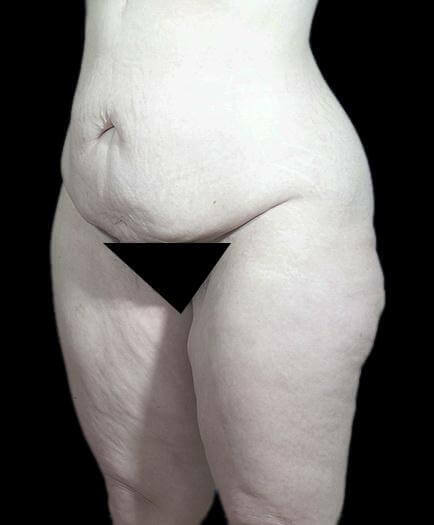 She also has had an Abdominoplasty and a inner thigh lift.